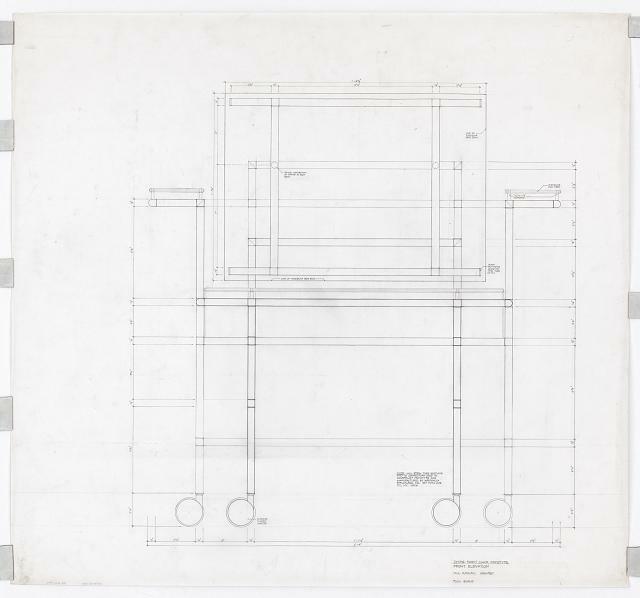 This chair was designed by Paul Rudolph (1918-1997), one of America’s greatest Modern architects. Rudolph was famous for his strong, expressive forms, powerful spaces, and innovative use of materials & light. A very prolific designer of both architecture and interiors, his active career extended to nearly the end of the 20th century, and across the decades he continued developing his aesthetic and experimenting with space & materials. Rudolph’s own residences were his “laboratories” for exploring ways to shape space and create dynamic forms. When he was looking for furniture for his own home, he found that there was nothing on the market that would fit well with the interiors he was creating - so he designed his own furniture, of which this chair is a prime example. Paul Rudolph was thoroughly knowledgeable about design history - and had met many of the leading figures of 20th Century architecture. One can see the roots of this chair’s design in the work of Rietveld and Le Corbusier, both architects greatly admired by Rudolph. 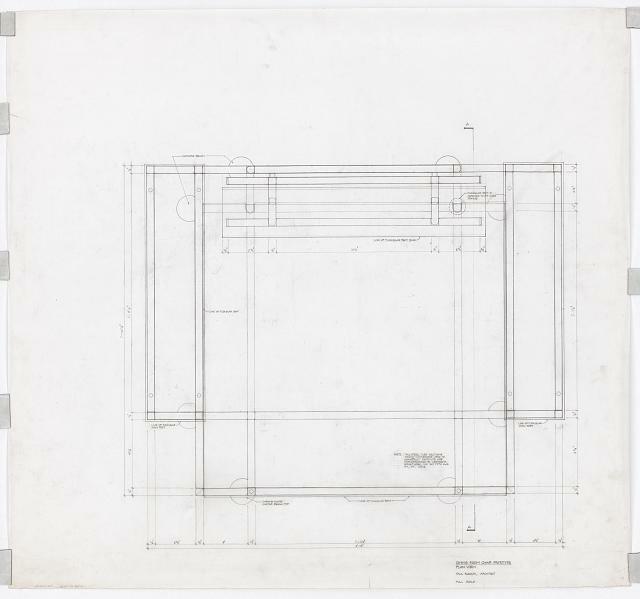 But, as with all his work, Rudolph puts his own creative stamp on the design - in this case: using a system of modular components to create furniture of great visual lightness & transparency. In addition, its use of casters makes it very flexible for moving into a variety of room arrangements. Rudolph was intensely interested in the flexibility and efficiency offered by modular systems. 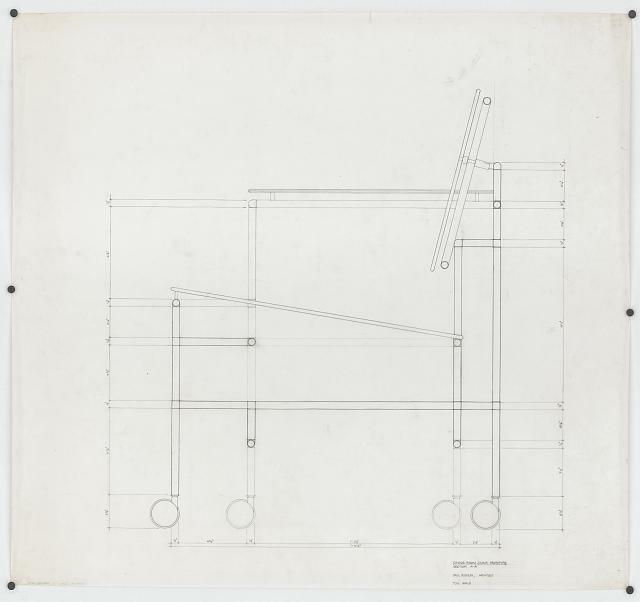 Whether it be for the design of a large-scale building, a set of furniture, or a light fixture, he thought architects should “speak the language of modularity.” This chair uses a system of stainless steel tubes & joints, carefully fabricated and assembled, to create a practical piece of furniture and a fine object of design. This same system can be also be used to make other kinds of furniture, and even light fixtures. Price: $3,450 Note: a portion of the proceeds from each sale will be donated to the Paul Rudolph Heritage Foundation.